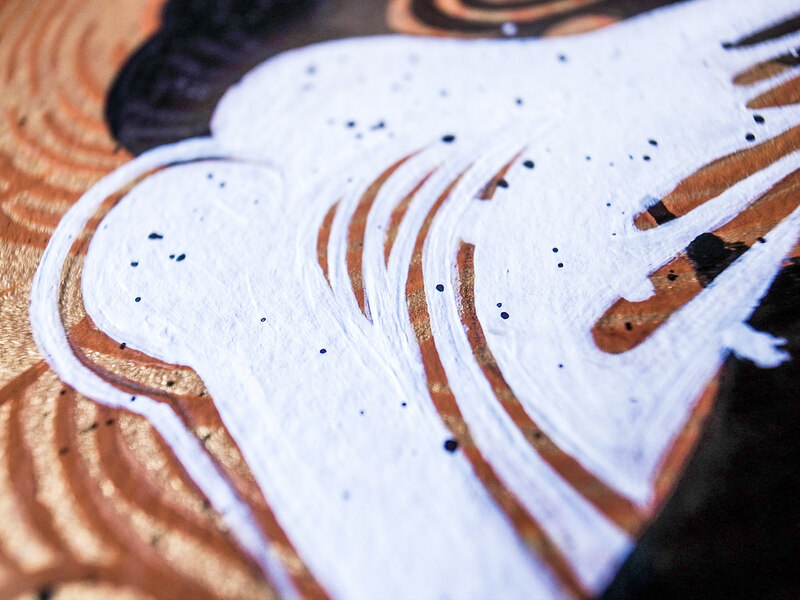 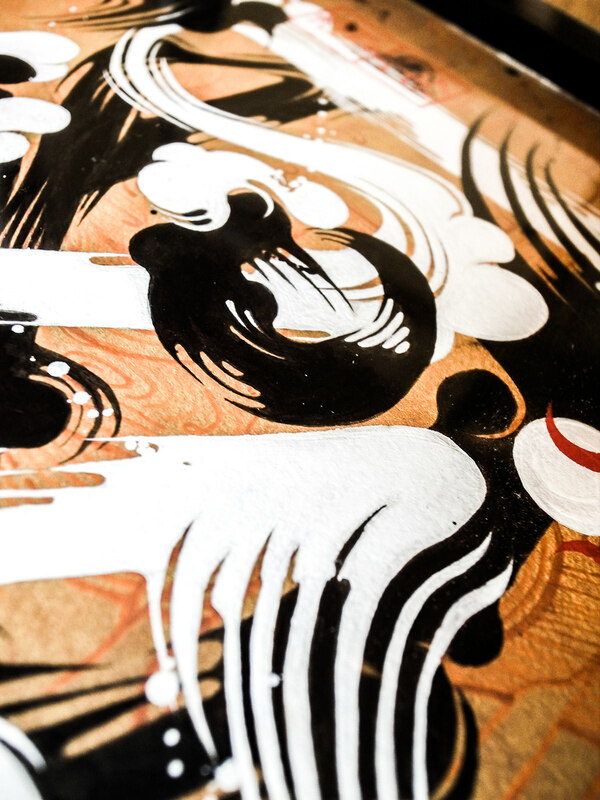 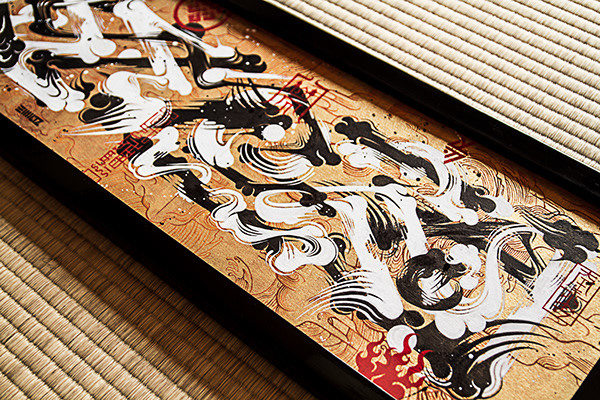 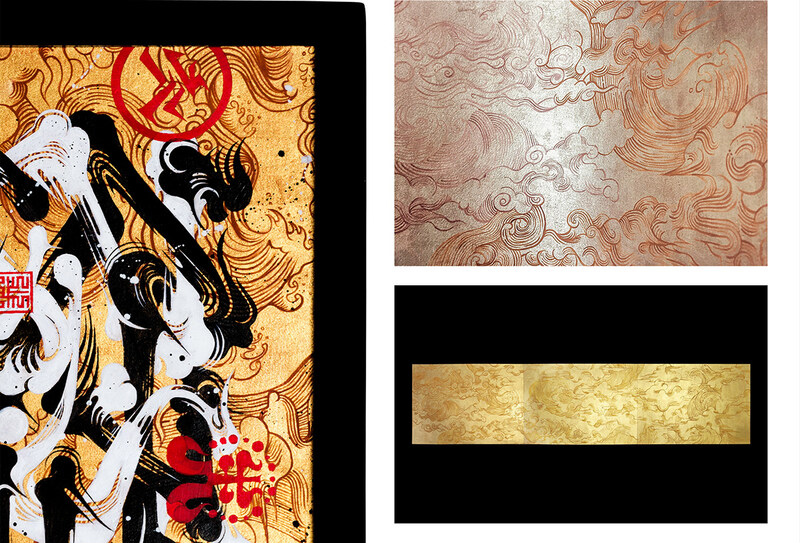 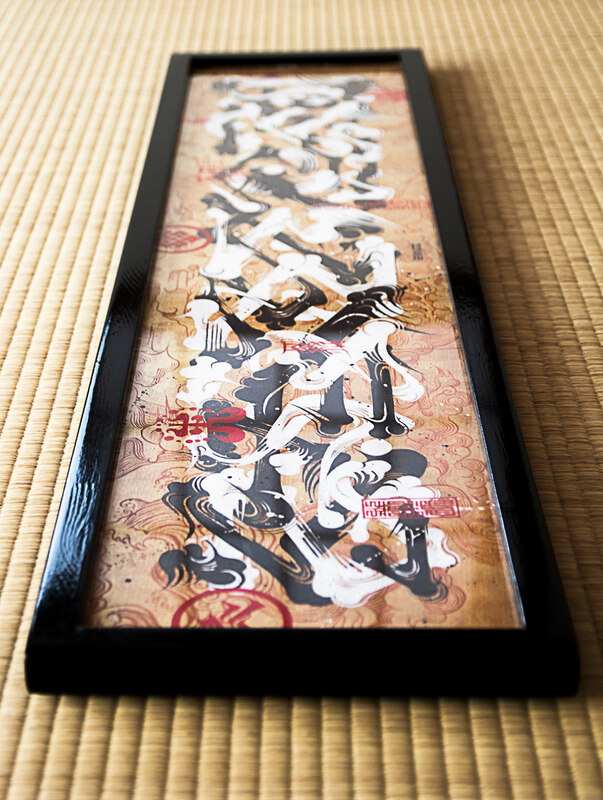 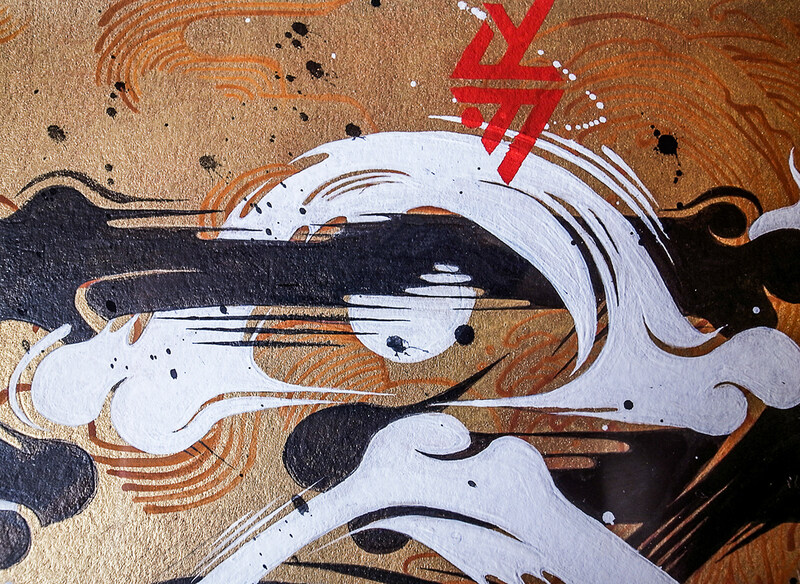 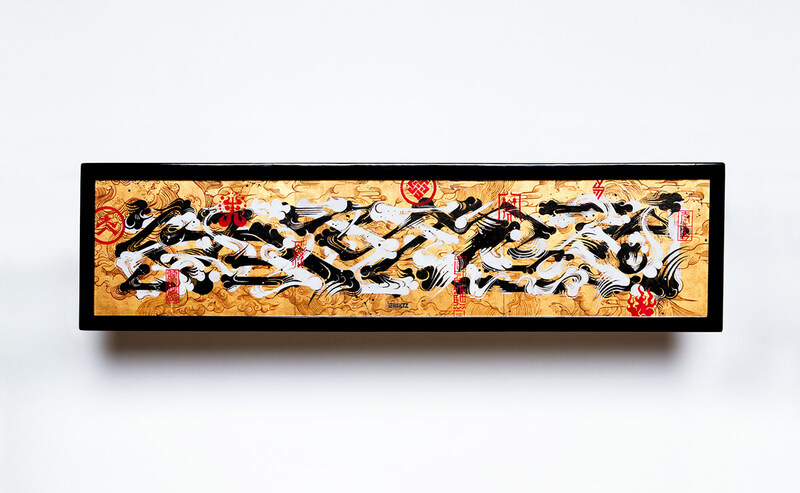 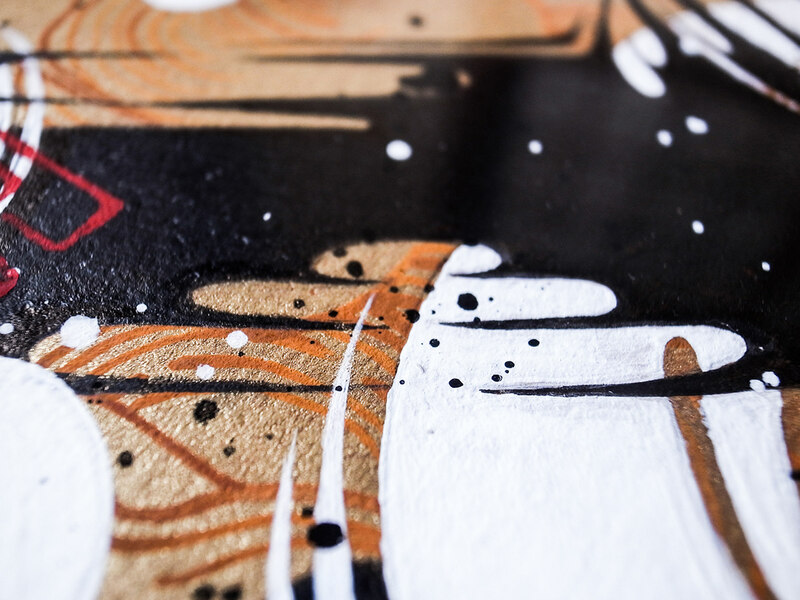 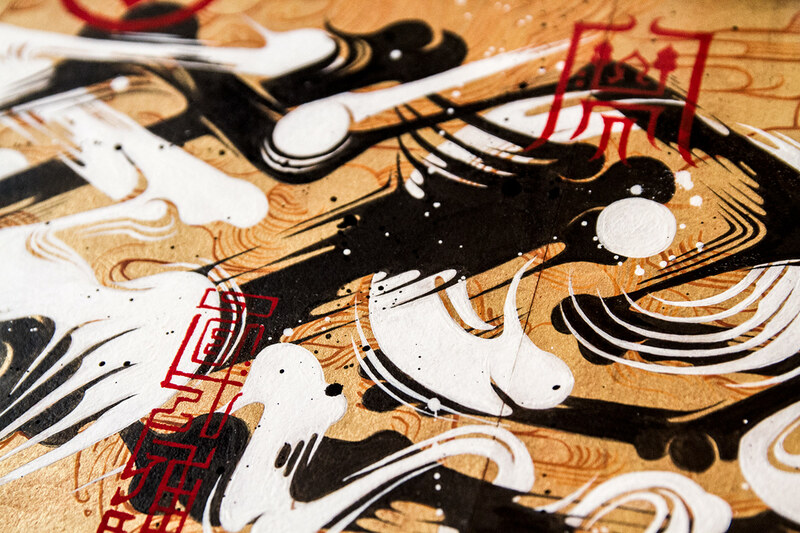 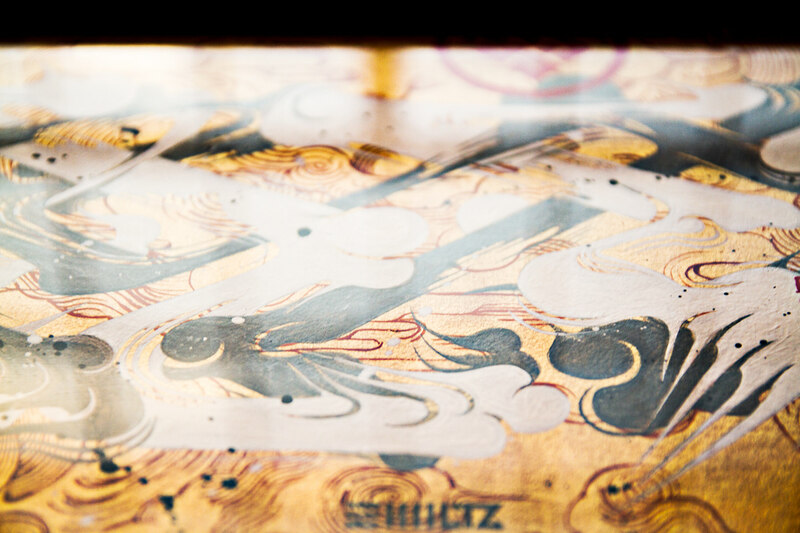 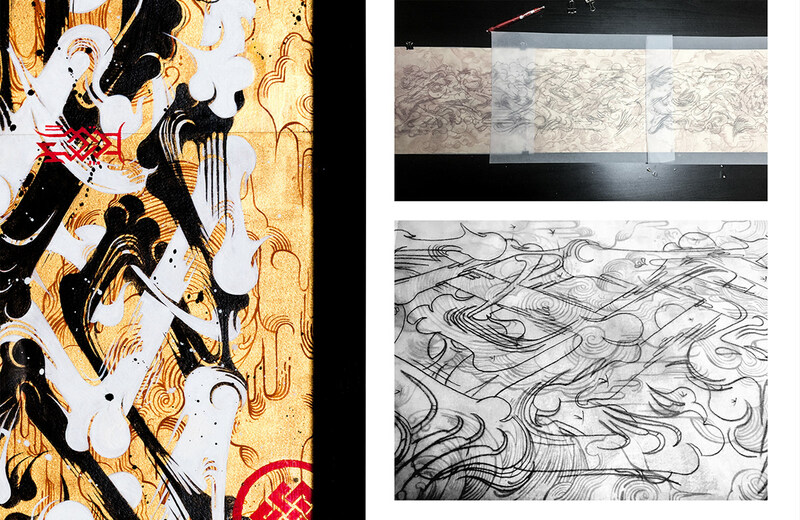 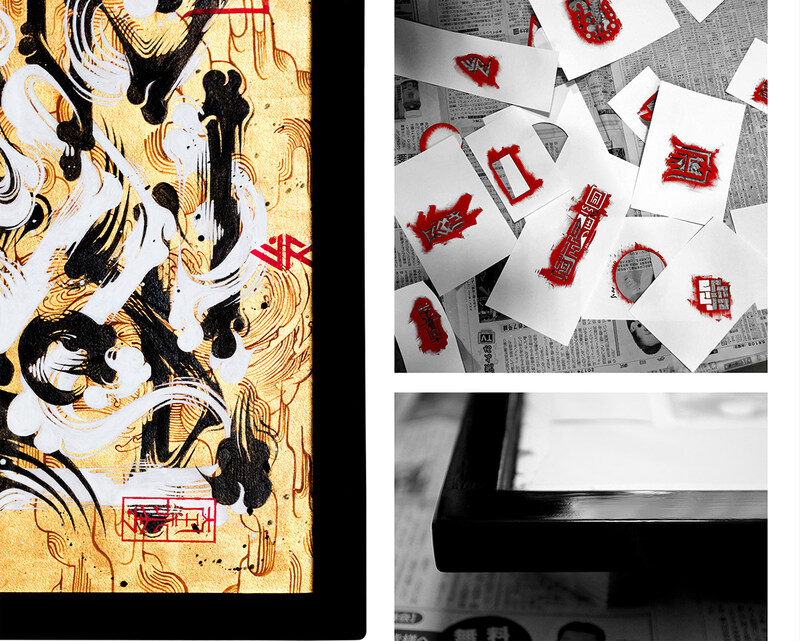 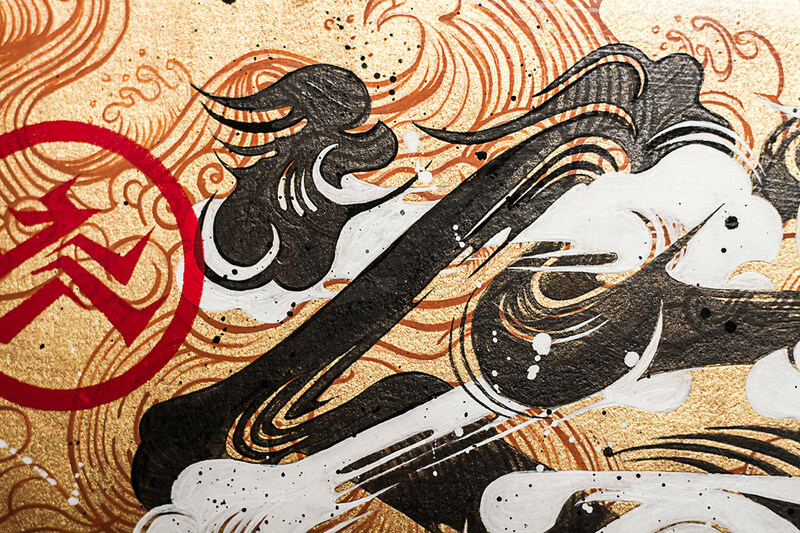 These works were created as a series exploring Kanji and street art. 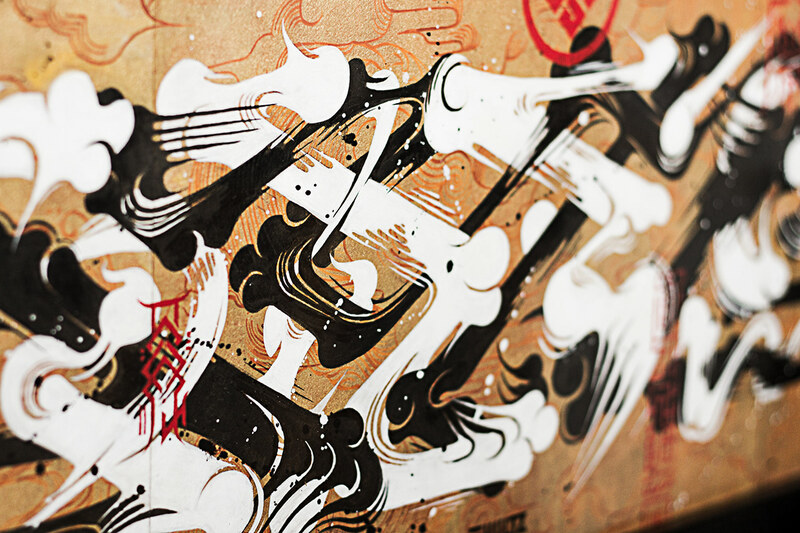 One rule of writing is that a character only takes on its meaning after its last stroke has been drawn. 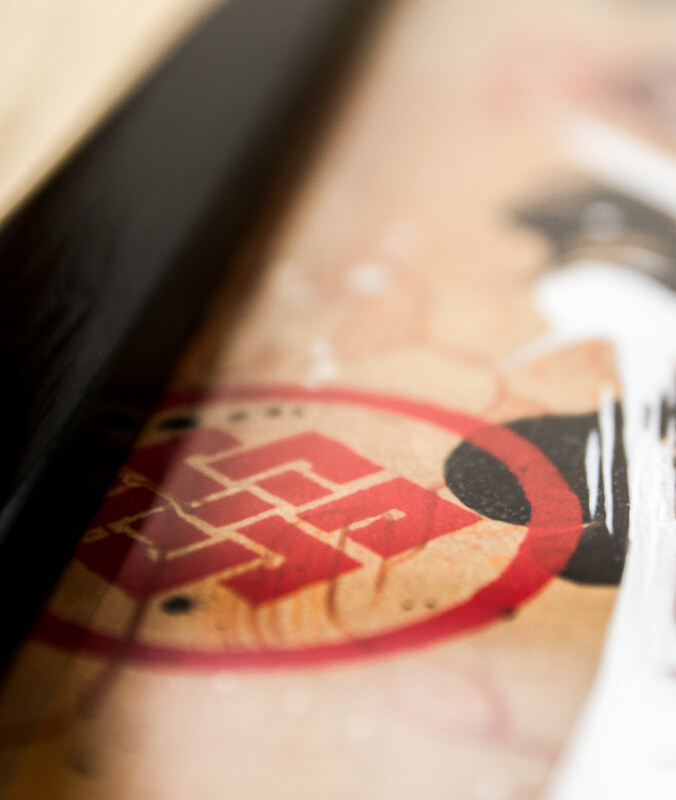 Any lines that violate this principle are only "lines" and are not recognized as having any meaning. 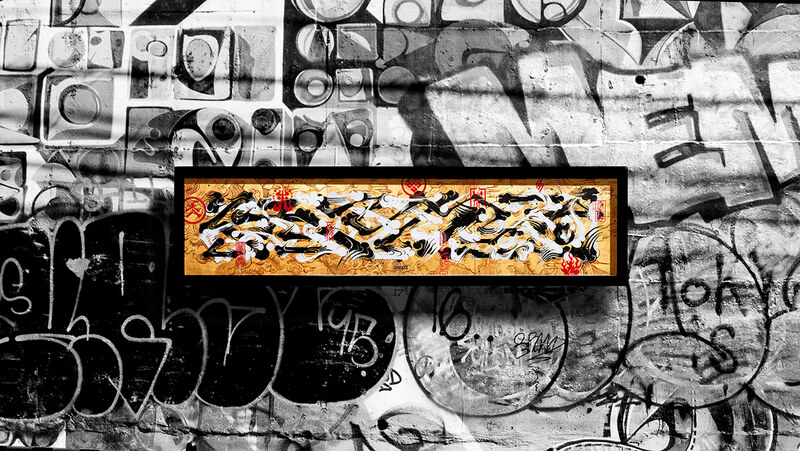 However, people also explore meaning while partially following this principle and still exploring combinations outside of its jurisdiction. 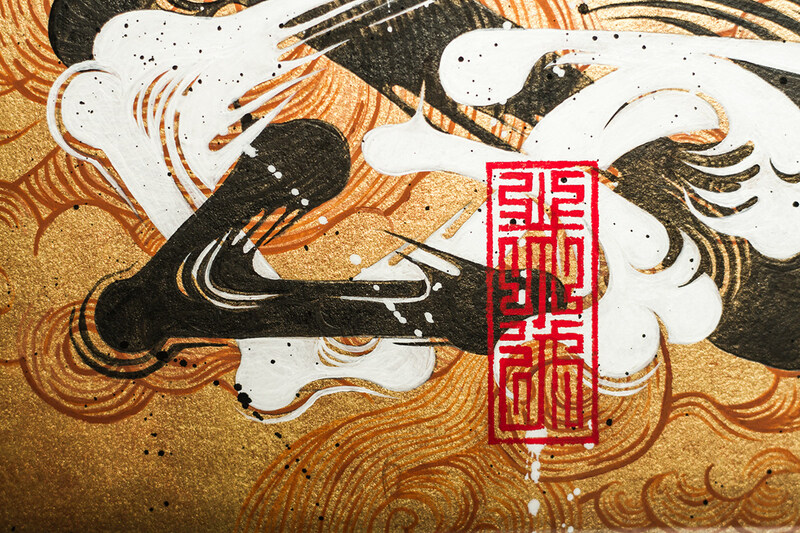 The Kanji-Line series of works utilizes the forms of Chinese characters as "characters" while attempting to convey to the viewer a fluid sensory impression of the brush strokes beyond the characters themselves.